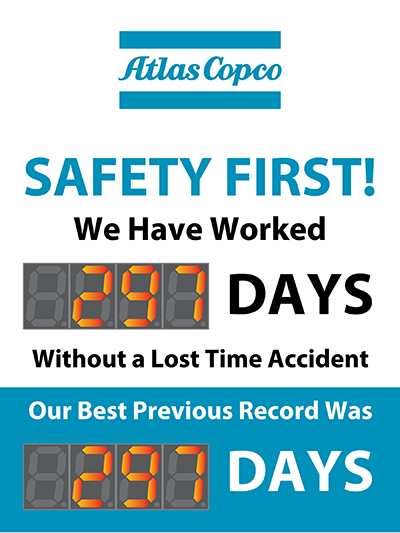 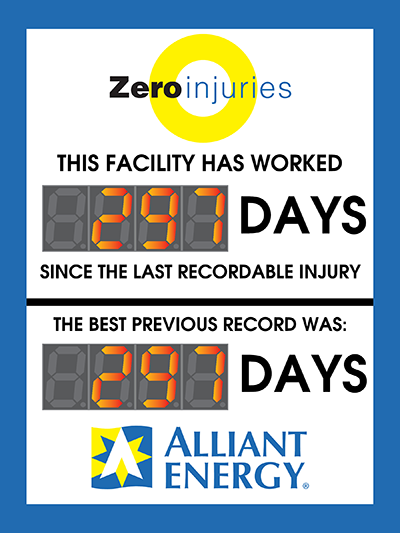 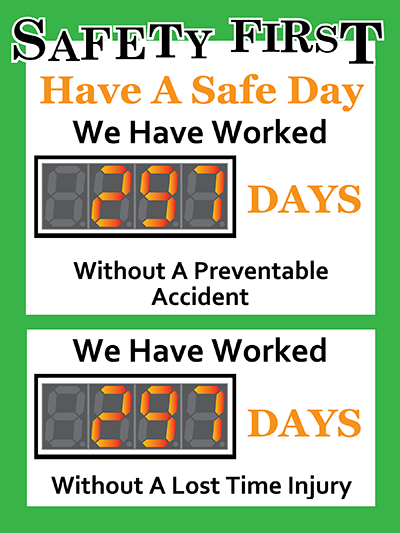 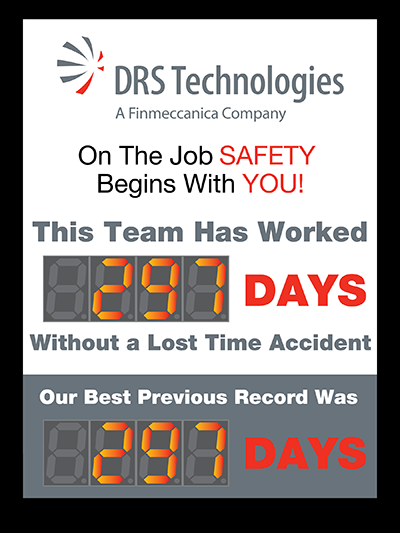 Keep two teams apprised of their accident free days with this digital safety scoreboard with two large displays. Add your own touch easily with our online designer. 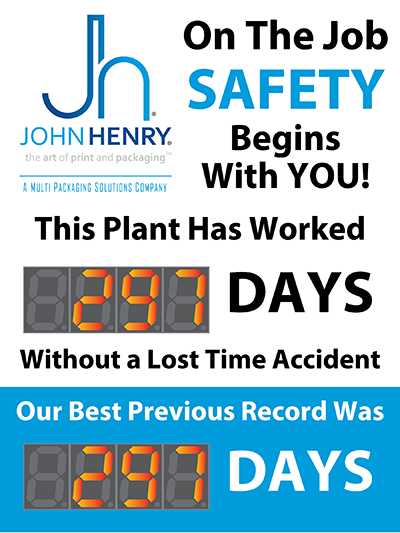 Promoting safety consciousness helps employees keep their well-being a top priority. 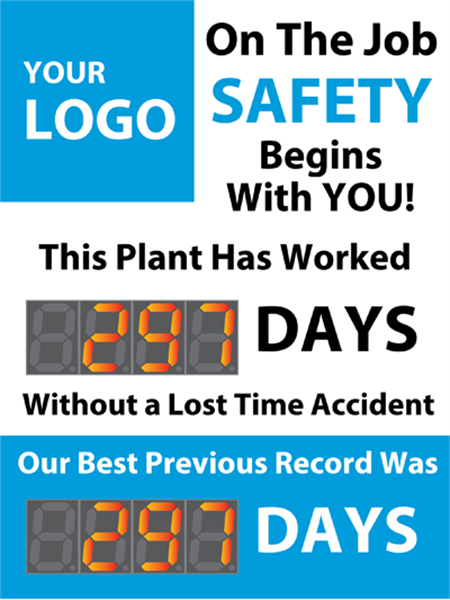 There are many ways to incorporate safety awareness into daily routines at the workplace and one of the easiest solutions is signage. 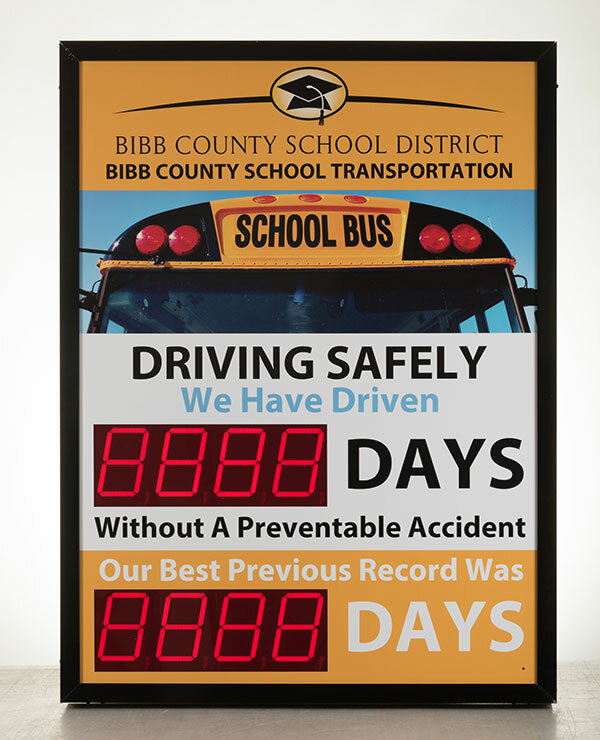 A quality sign helps to engage your workforce and keep safety on their minds throughout the workday. 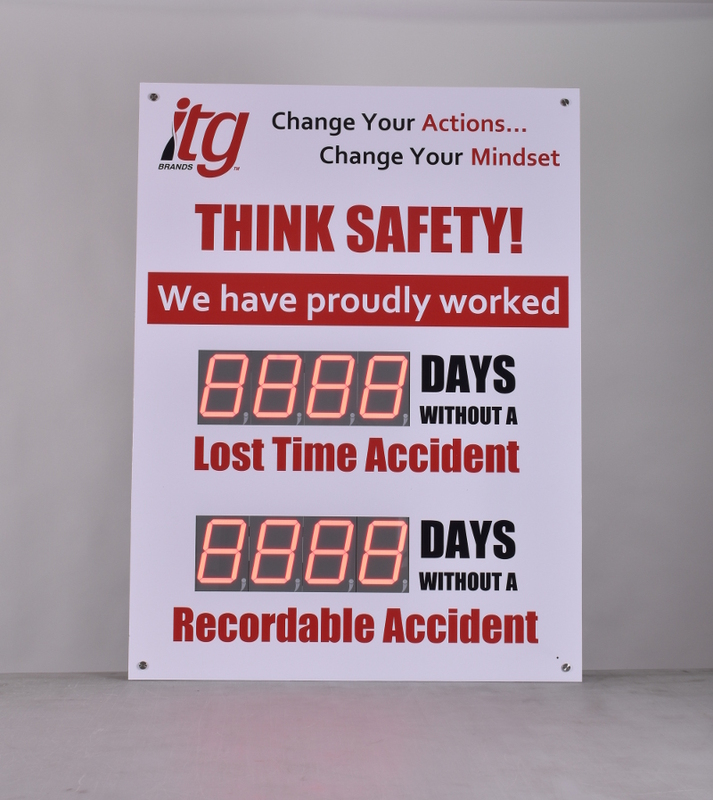 Enforce responsibility and encourage safe work practices with this 48" high by 36" wide days without accident customizable safety scoreboard. 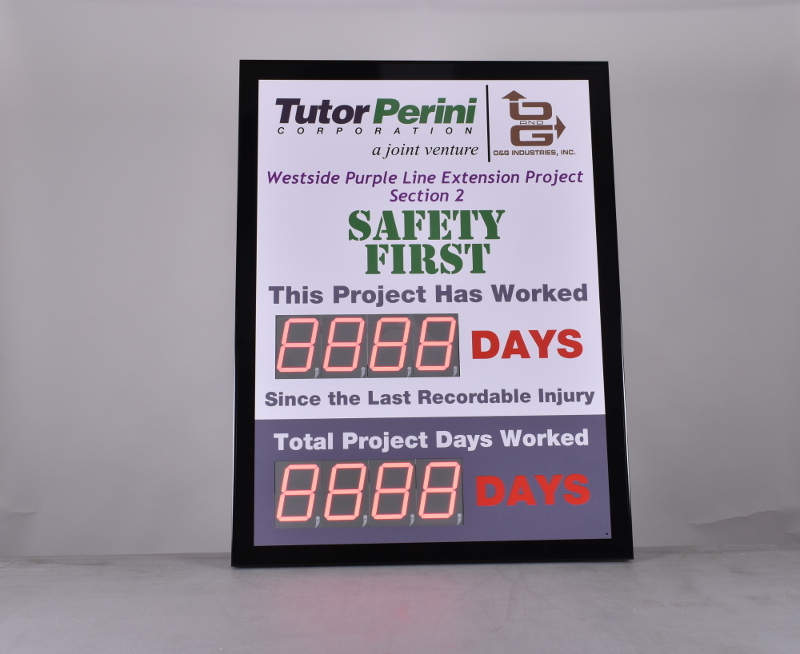 The two 4 digit displays have 5" super bright led numbers that will track safe work days without human intervention.